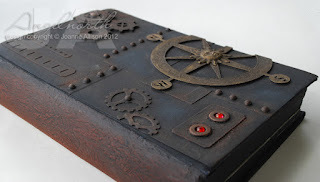 Ambrosia and Iron: Book of Secrets! I've been doing something new! I've never taken part in an online workshop before but I'm currently doing Andy Skinner's Book of Secrets one and having fun! 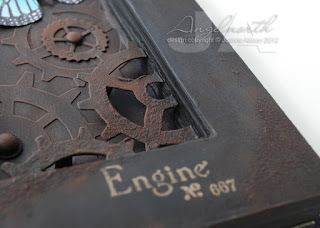 Andy gets some fantastic finishes on his projects and steampunk is way outside my normal comfort zone so I decided to sign up and see what I could learn. 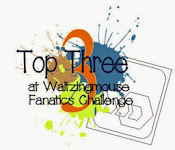 This post is a bit picture-heavy - sorry! Andy uses a wooden box as the base for his tutorials but I decided to take the "book" part of the workshop title literally and I've used a real book as the base for my project. The people who owned our house before us left behind loads of "books by the yard" and we've never done anything with them. I chose one that looked extremely unlikely to have any financial or cultural value and set to work! One of the things I struggle with on steampunk is the "more is more" aspect. I find it difficult to add lots of stuff and still feel happy with the overall composition. I think I did OK here and I didn't go for a straight copy of Andy's sample (trying to copy something is always a recipe for disaster at my craft table!). The "power indicators" (flat back gems) were something that struck me as a fun addition to the mechanical components. Andy adds dates to his large compass with metal punches. I liked the idea but didn't have the punches to achieve it. What I did have was an embossing tool with interchangable tips that my dad picked up for me at a car boot sale (thanks Dad!). I used it with a hammer to add detail right round the inside of the compass. I think it works quite well. 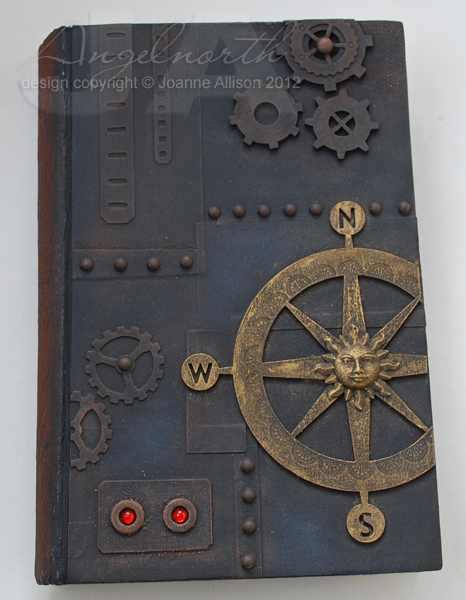 The spine has been given a leather-look makeover. It's not easy to tell that the book started life as a blue cloth-bound hardback and I think this would probably look quite convincing lined up with other volumes on a shelf! I carved out a niche inside the book for the inner workings of the machine. 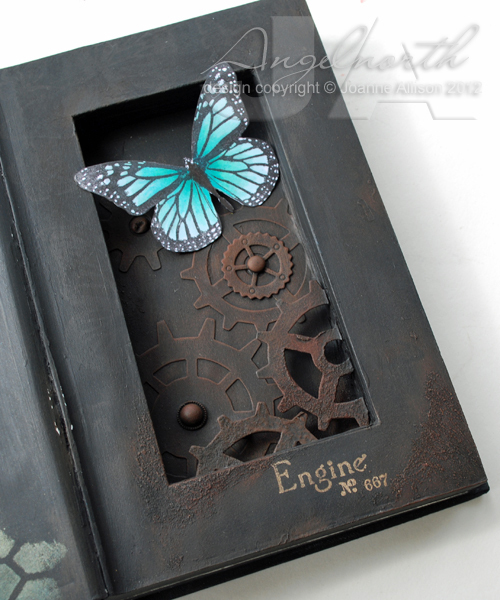 I thought a butterfly would provide a suitably unexpected power house for a steampunk contraption and the light/bright colouring makes a nice contrast to the industrial tones. Lessons for niche carving - be prepared to even up the right hand side once the pages are glued together as there's a surprising gradient on the pages of a closed book! The slope on the left goes towards the spine and can't be seen but the slope on the right obviously goes into the niche itself. Here's a detail of the texture on the cogs - nice and rusty! This is not quite complete yet - I need to do the back and as the niche only goes about half way down the depth of the book I've stuck together some pages so I have a couple of surfaces to decorate. I got distracted into trying a second project though, I'll share that soon! The Book of Secrets workshop is running again at the end of the month - details of what it entails are here if anyone would like them. This is stunning!I love it. stunning piece Joanne and as others have said, so very different for you! Wow! Fantastic. I wonder what your other project is? Equally fabulous I should imagine. I love your twist on the Book of Secrets Joanne, Fabulous!! Lovin' this Joanne! 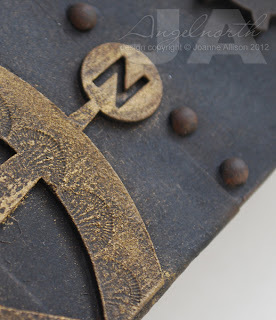 Your embossing detail on the compass looks great and I love the idea of gems as power indicators. WOW Joanne, this is amazing, well done to make something this creative out of your comfort zone. Wow Joanne! Hard to believe this is out of your comfort zone, you're a natural steampunker. Glad you are getting so much from Andy Skinner's course. I hope to get round to one soon. GORGEOUS! You may feel overwhelmed stepping out of your comfort zone, but this looks beautiful. No one could ever tell that it was a stretch for you!